It’s 12 noon, I dial Ard Matthews’s number. He answers, but I can tell he is busy. He apologises before I let him know I’ll call back in 15 minutes. I am excited to speak to Matthews because, apart from being a funny guy, he is about to release his second solo album. 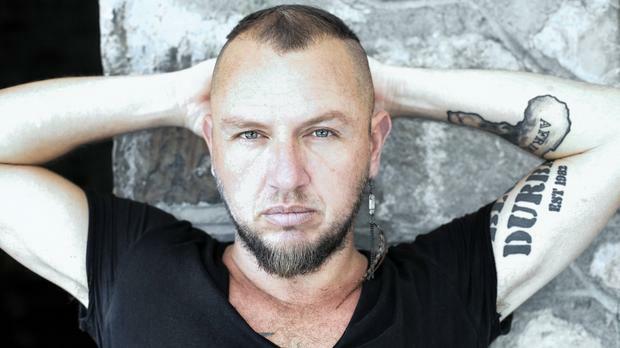 The Just Jinjer frontman has been in studio from last year and is excited about his latest venture, Impossible Machines. “It’s not the sort of music I used to make. This album isn’t one you need to be on suicide watch for. It’s more up-tempo, which is something I haven’t done before,” he says, while we both laugh. His “suicide watch” comment had us laughing through the interview. At the end of 2016, Matthews bought a Scottish castle in Hout Bay and converted the dungeon into a studio. “I know it sounds weird and people ask ‘why would you buy a castle’, and I say ‘why not buy a castle’. I decided to turn the dungeon into a studio. It has some of the best soundproofing ever,” he said. After moving into his new home, he began working on his album in September. “When I got into studio, I had no plan. I am at a point in my life where I am living for me and doing what I like and want to do, so when I got into studio, I said: ‘Ard, do whatever you want to, write whatever you want to and sing whatever you want to sing about’. That was the only instruction I gave myself,” he said. Although he had no theme in mind, he found himself moving away from the music he would usually make, something he said was liberating. “You know, in the past, I never experimented with my music. It was always the same vibe, but with this album I found myself experimenting with different sounds and even the lyrics are different and, for me, this experience has been very liberating. The sound is super diverse. It’s largely up-tempo, still (with) my unique rock and roll feel to it, but very diverse and I love it,” he said. He described the sound as uplifting and lush. For Matthews, his more than 20-year career has been a rehearsal for this moment. “This album is a musical indication of where I am in my life right now. I am in a great place. I am happy and I am learning to just express myself and, with this album, I want to know that this is me as an artist. This is my individuality,” he said. He also cleared up any misconceptions around Just Jinjer, “I did not leave the group. We are still very much together and just had a huge gig last week. We are just not recording any new music. At this point, we can’t rule anything out, we could always get back into studio together and make new music, but that won’t happen anytime soon,” he said.